We’re excited to share the official teaser trailer and first film still for HORRIBLE BOSSES 2. The follow up to the 2011 hit comedy “Horrible Bosses” stars Jason Bateman, Charlie Day, Jason Sudeikis, Jennifer Aniston, Jamie Foxx, Kevin Spacey, Chris Pine and Christoph Waltz. 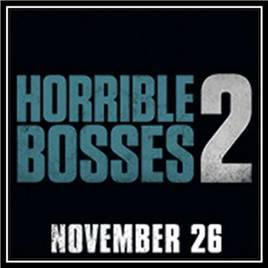 HORRIBLE BOSSES 2 hits theaters November 26th.